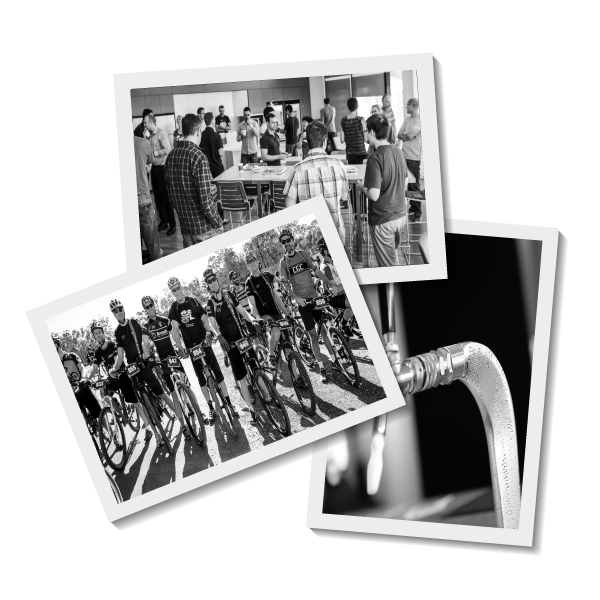 At Deswik we are focused on, and committed to, being a world class software organization. We have the ambition to be the best at what we do. There is an acceptance here to do things differently and try new things. We are open to change and understand technical excellence – we have to be – our software is used all day, every day, by 9 of the world’s top 10 mining companies to solve their complicated and valuable problems. 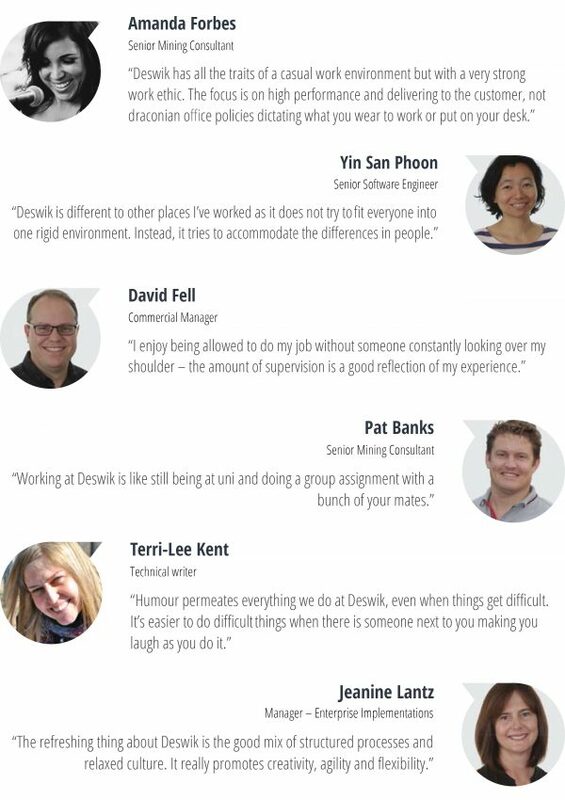 Deswik offers employees the opportunity to work for a technical company run by technical people. This means conversations are short because we have managers who get it. With our Head Office based in Brisbane, Australia we are one of few local employers who offer software and technology problems that are interesting and challenging. Our team have the opportunity to work with highly technical subject matter (mining) in a highly technical software engineering environment, daily. Working with Deswik is an opportunity to do more sophisticated consulting and development than general business systems applications. Our offices are well located, well appointed, we have fully stocked fridges and our technology infrastructure is second to none. Interested? Check out the list of jobs available.